Another year means another [Park]ing Day! An international holiday I dare say to celebrate public planning and green space, where people turn metered parking spots into creative and engaging parkletts! SGS has gladly participated for the last six years, and boy do we kill it every year. I mean if you haven’t heard of SGS CraneCity and SGS Re[Cycle], then you’re just living under a pedal tavern. That’s what my grandmother used to say. This year, we realized Nashville’s getting too hot! Literally and energetically. So we aimed to cool it down. 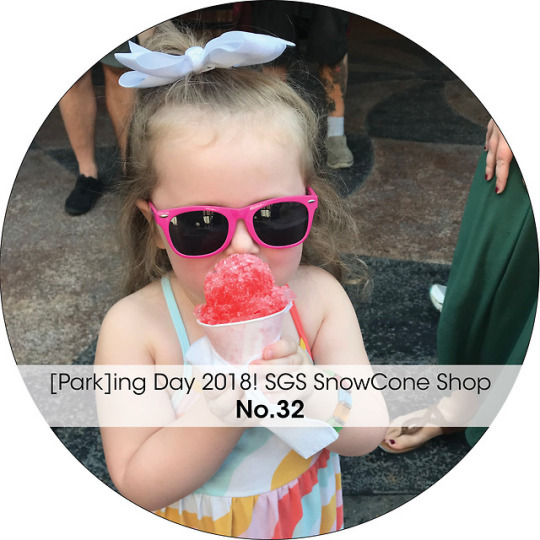 Introducing the SGS Snow Cone Shop = a breezy pause in your pedestrian heavy Broadway street to just sit down, relax, and enjoy a tasty cold treat on us. Of course, Parking Day is also about collaboration, and every we could never participate without the gracious help of our sponsors. This year we had The Great House Company for our lovely plants, DZL for our cool seating, Interface Carpets for out eccentric carpet tiles, and Tequila Cowboy for our electricity to run the snow cone machine! Check them out if you want to work with some awesome people! Ok now on to the pictures! See you next year!